So in the science world your a big shot when you finally get published on a paper. I think that so many people are being published that its not such a big deal anymore, but for me January marked my first ever publication. Its not a fancy article with big science words or pretty charts and graphs, it does not intend to confuse people outside of my field, its not one that many people will read but I am happy that finally my name is somewhere I consider special. Background: In Peru many rural Andean families lack the access to preventative health care. This is due to socioeconomic issues including monetary, transportation, traditional and language barriers. In Peru most people speak Spanish, but in the rural Sacred Valley, many of the inhabitants speak Quechua, which has been carried down from Inca civilizations. The Andean (descendants of Inca culture) community practice traditions different from those that the Spanish brought when South America was colonized. This language and lifestyle discrepancy can be a barrier for many local physicians and international physicians to provide medical services. Methods: I volunteered with Maximo Nivel, a program that provides volunteers to the medically underserved areas of Cuzco and Sacred Valley. 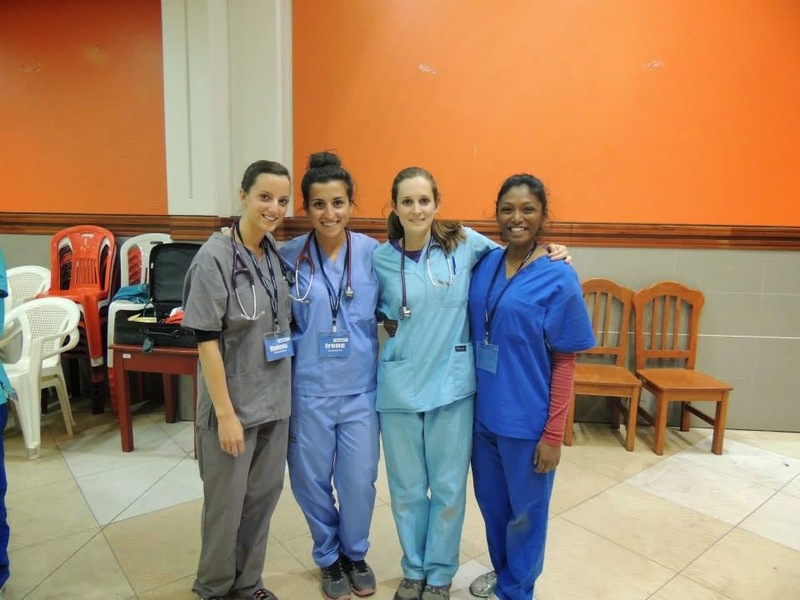 I volunteered with a group of local physicians, medical students, and nurses to provide health care. While I have the ability to speak Spanish, I had very small command of the Quechua language. Through history taking and working with a translator I was able to learn important words to help me communicate with my patients. I also lived in a rural area with an Andean family through an Immersion program sponsored through Maximo Nivel. This opportunity gave me insight into the daily lives of the rural Andean community, which allowed me to better relate and understand my patients. Results: A major part of osteopathic medicine is to provide holistic care to patients. With this principle in mind, it is important when providing outreach to a community that we learn about the social and traditional aspects of the people we seek to help. Through living in the community and volunteering at local clinics I learned about the local perception of Western medicine, misconceptions among the community about medical treatments, as well as local remedies. I was able to learn about the local diet, education, and lifestyles that have an impact on a person's health during my stay with the host family. With this knowledge I was better able to understand my patients' concerns while also educating them about preventive health measures. Conclusion: By living and experiencing the daily lives of our patients, we are able to better understand their needs and therefor better devise treatment plans. Learning from your patients allows you to better understand and treat their health problems. Patients that you treat abroad might have different health statuses due to different environmental factors. By educating yourself about their culture, language and traditions you will be able to better help the people you strive to serve. I hope you liked reading it. I am hoping to do another medical mission in a 2 years. I will keep everyone posted.